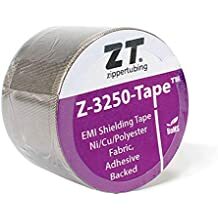 Alsr 15 - Moderate Temp 260c - Thermal Management - Materials - ZT | Zippertubing Co.
ALSR-15 is an extremely flexible, medium weight Silicone coated fiberglass cloth with a heat reflective Aluminized layer on one side that conforms to AMS-3673 formerly Mil-C-27347 and Naval Ordinance Specification 10001OS10591A. Designed to reflect over 90% of the thermal radiation from intense heat sources, this material makes an ideal high temperature jacketing system for electrical wires and cables. 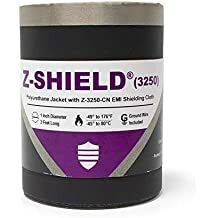 The Silicone rubber coating is fluid resistant, flame retardant and exhibits heat energy-absorbent properties which provide additional protection. ALSR-15 is ideal for high performance military and aerospace applications. The material has an operational temperature range of -55° to 260°C.